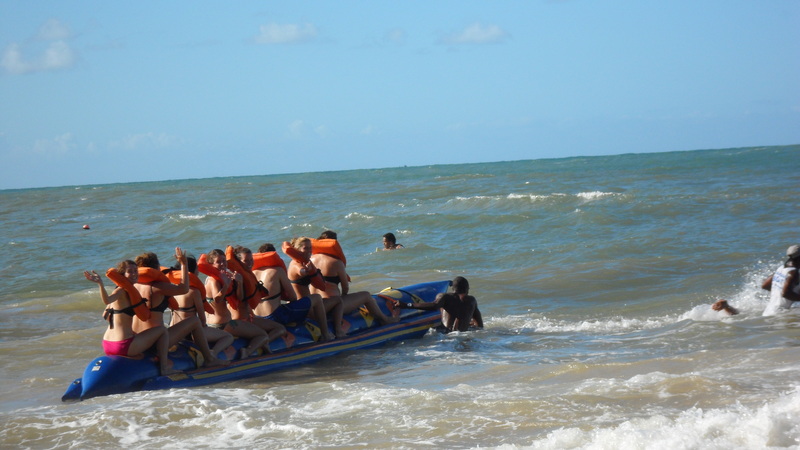 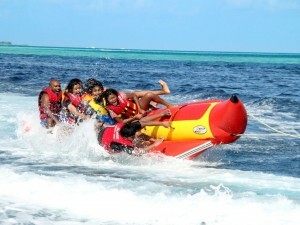 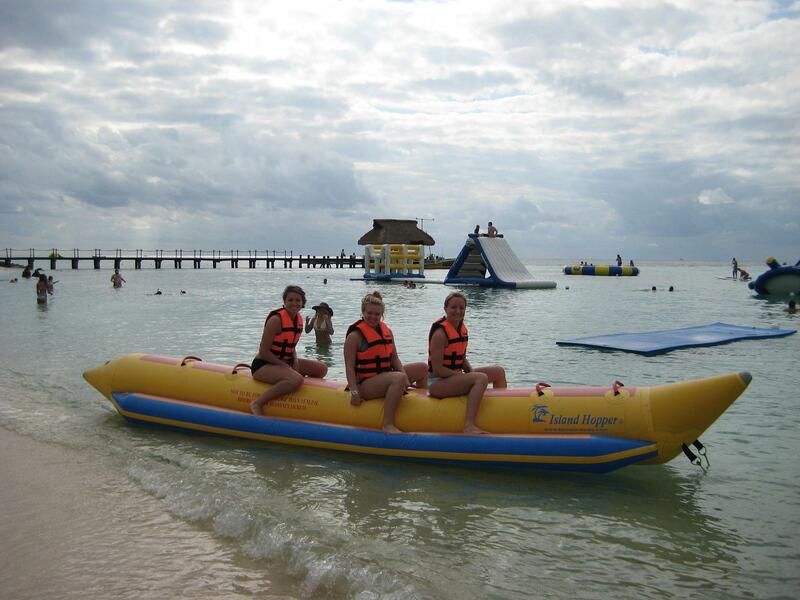 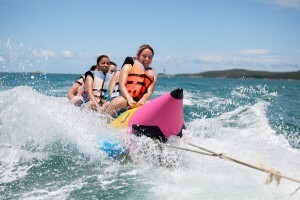 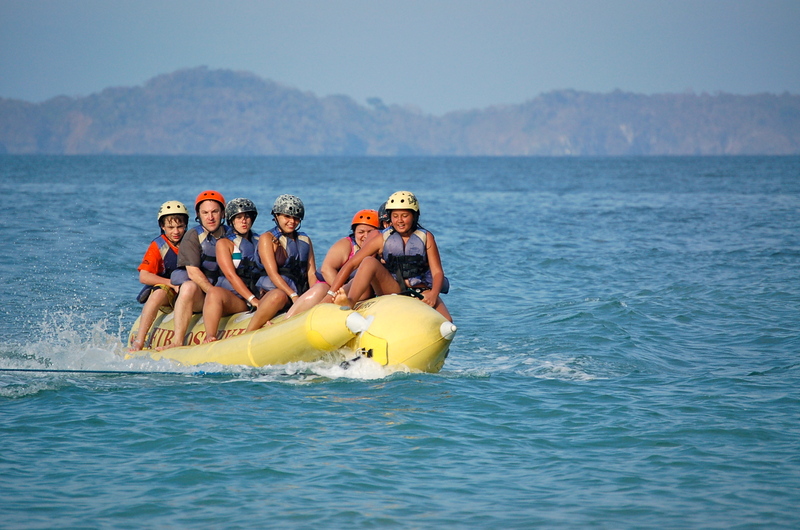 The Banana Boat ride is definitely the activity you don’t want to miss out on, jump on our 6 or 8 person inflatable boat and have more fun than you ever imagined. 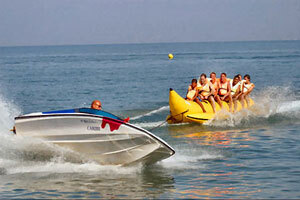 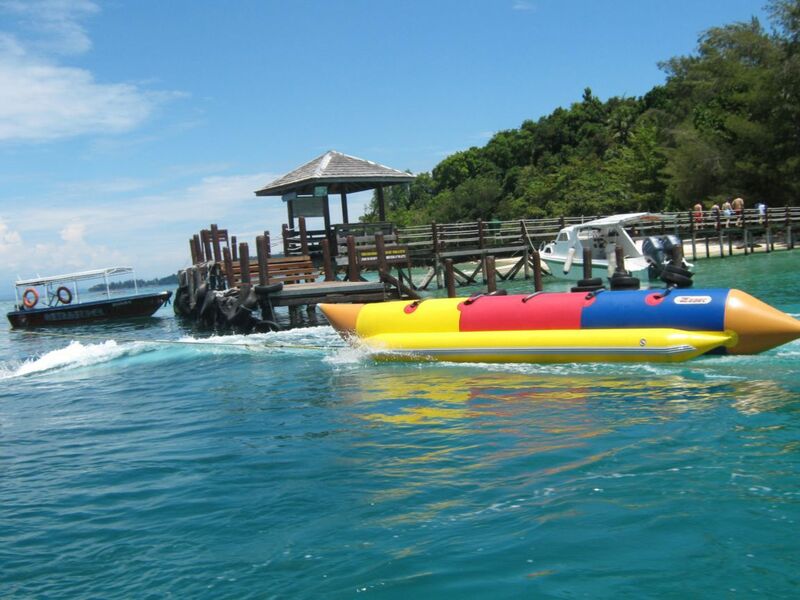 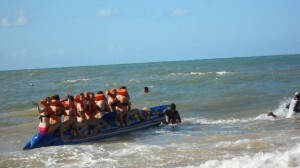 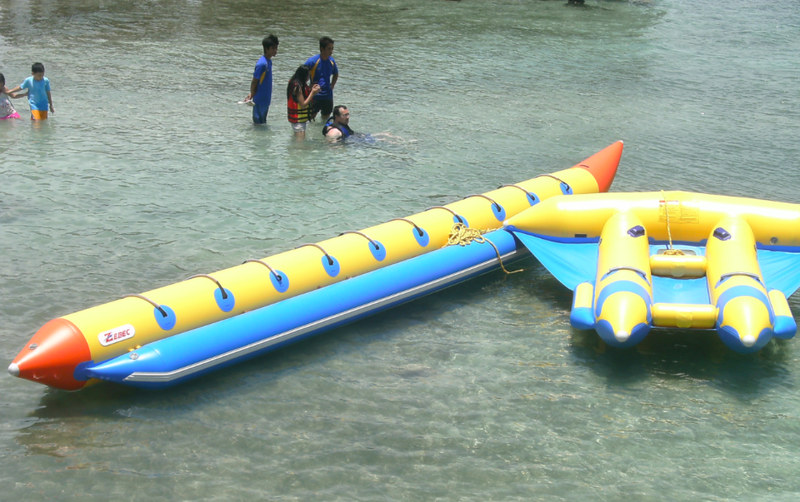 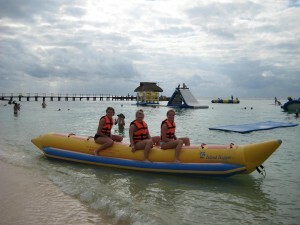 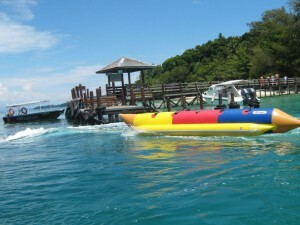 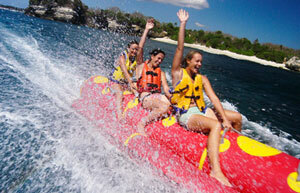 You will ride out from the dock on our luxury speedboat and then transfer to the Banana Boat. 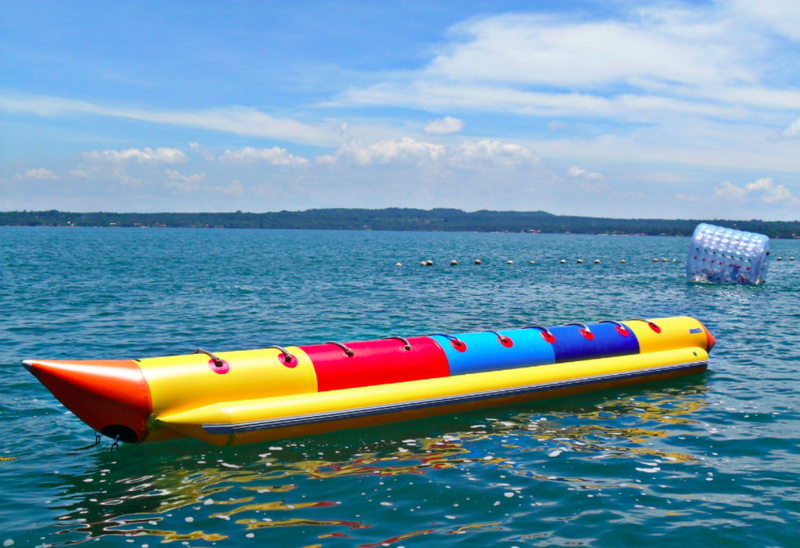 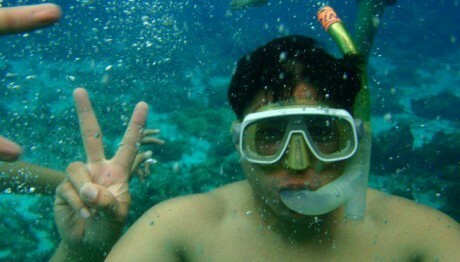 The speed boat is skippered by our Philippine Coast Guard Captain, he will tow you through the waters where you will hang on and try desperately not to fall off. 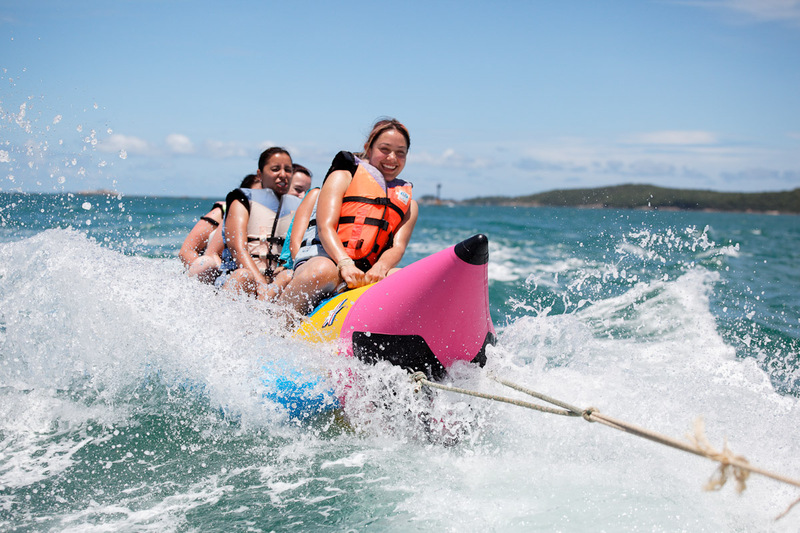 If you do its not a problem as all riders are provided with USCG life jackets and the boat captain will immediately pick you up and continue on this incredible ride.